Master fiddler Arvil Freeman of Madison County has married elements of old-time and bluegrass in his distinctive “long-bow” style of playing. As a veteran performer and a longtime teacher, Arvil was honored with the 2018 North Carolina Heritage Award, the state’s highest honor for traditional artists. The "Down the Road on the Blue Ridge Music Trails of North Carolina" podcast highlights bluegrass and old-time music stories, performers, and traditions across the mountain and foothills counties of Western North Carolina. Hosted by Laura Boosinger and produced by Kim Clark of WNCW-FM, the podcast is a joint effort of the Blue Ridge National Heritage Area, the North Carolina Arts Council, and WNCW FM. 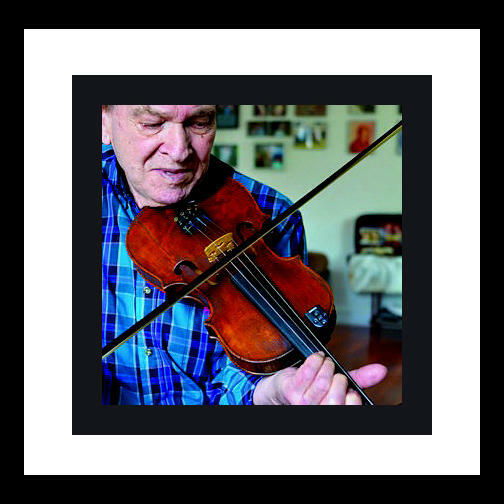 Down The Road Piece With Laura Boosinger Highlighting Master Fiddler Arvil Freeman.